Issues regarding customer and sales – A due diligence review should thoroughly evaluate the target company’s customer base. Issues that a buyer should be on the lookout for include customer concentration problems, potential problems retaining customers once an acquisition has been made, whether the sales pipeline has been actively maintained, unusual levels of returns, exchanges, or refunds, seasonal sales cycles, customer satisfaction, and others. The target’s contractual obligations – One of the most important issues for a buyer to fully investigate are the review of all contractual obligations the target company may have. The kinds of contracts to review include those regarding loans, credit agreements, settlements, leases for necessary equipment, joint venture agreements, employment agreements, exclusivity agreements, and real estate leases. Pending or threatened litigation – A buyer should conduct a thorough analysis of any pending or threatened litigation in which the target company is involved or may become involved in. Reviewing the issue of litigation often requires the analysis of complaints that have been filed, threatened claims, the resolution of previous litigation, letters to or from attorneys, issues that are in arbitration, administrative issues that involve government agencies, and settlement agreements that have been executed. General issues regarding the corporation – A potential buyer should always engage in a thorough review of corporate records and organizational documents including the articles of incorporation, bylaws, the list of corporate officers and directors, stock sale agreements, and a list of states in which the company is authorized to conduct business, as well as others. 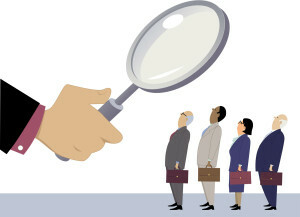 Reviewing the list of corporate officers and directors will allow you to review their reputations and any associated risks. It is critical for corporate executives or individuals who are considering acquiring another company to discuss their situation with an experienced attorney. The Silicon Valley mergers & acquisitions lawyers of Structure Law Group, LLP can conduct a thorough due diligence investigation that can ensure that you are fully apprised of the relevant characteristics of the target company. To schedule a consultation with one of our attorneys, call our office today at 408-441-7500 or send us an email through our online contact form.